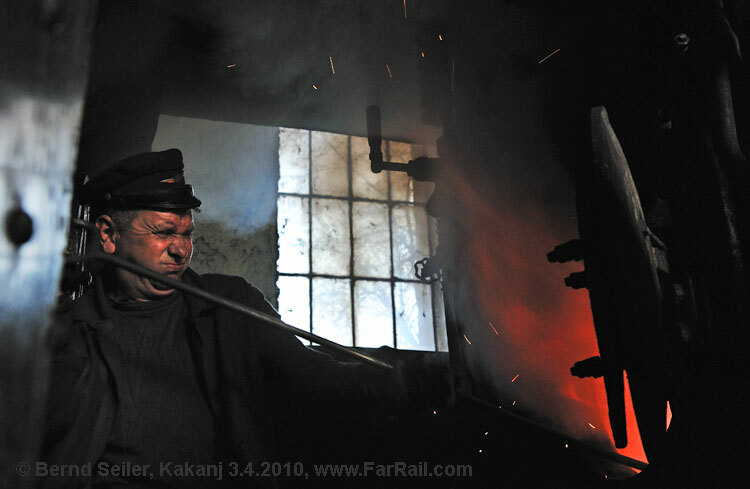 After our tour in 2011, I considered steam in Serbia to be history. But since then, they’ve worked on the boiler of 126 014, they’ve repaired the air brake and they’re even wanted to start boiler work on 120 019. We’ll use at least one of those Methuselahs. Since the brake is working again we’ll probably be allowed to bring the 126 out on the line for a few kilometres. After several recent losses in Bosnian steam activity, the situation now seems to be stable at a low level. One mine, Durdevik, has even returned to sporadic steam service after the mine reopened and is continuing to produce coal at a very low level. We’ll visit the last non-tourist steam operation in Europe. However, a few trains and shunting operations will be chartered as well to make the trip worthwhile, photographically. 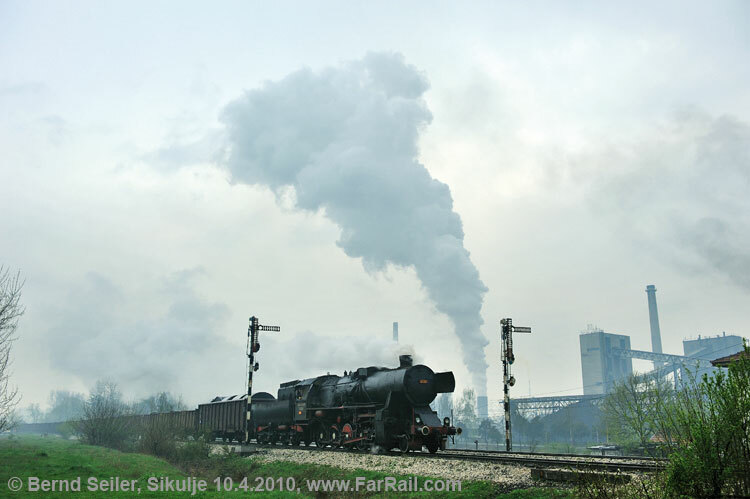 We should not forget that the last steam stronghold of steam in Europe consists of only five, from Autumn 2013 only four or in the best case six, daily operating locomotives. These few locomotives belong to three different classes on two gauges. In addition, with our charter activities we expect to see eight locomotives in steam, of no less than six different classes. You’ll see really big locos up to the 2-10-0 class 33. Most of the locos in use are American or German ‘Kriegsloks’. The German built class 33 was intended to be in service for a maximum of five years but now the oldest loco of its class is already over 70 years old. 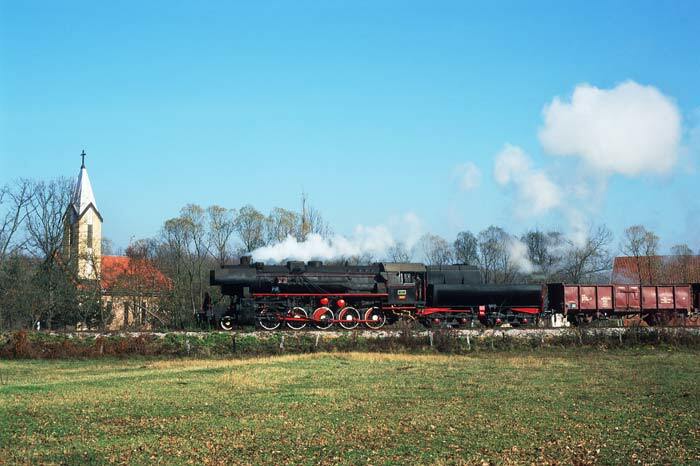 The other ‘Kriegslok’ is the 0-6-0 tank engine of class 62, originally known as USATC S100 class. This class was spread widely over Europe, including the UK, and a few examples even found their way to China. 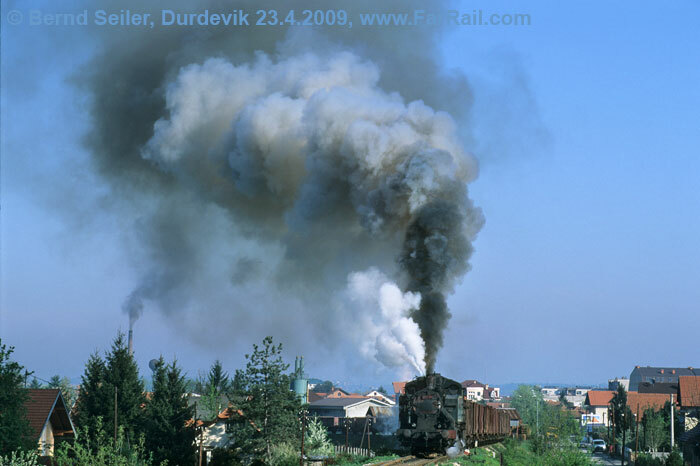 The concentration in the former Yugoslavia seemed to be exceptional, and this resulted in very similar locomotives being built by the local company Duro Dakovic after WWII. Only one of the original American constructs with bar frame is still in use until Autumn 2013; the others are all plate frame Duro Dakovic copies. 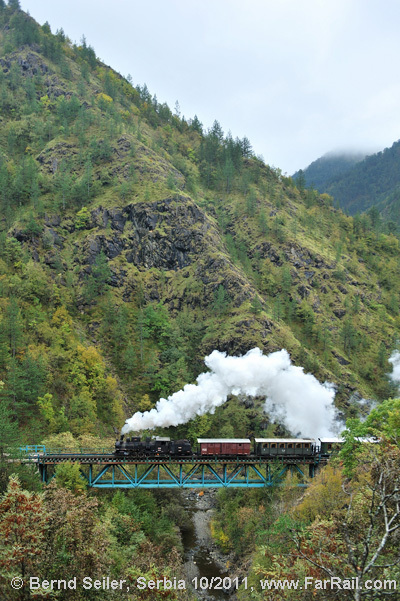 Besides photographically interesting mine backdrops, we’ll see steam trains in scenic, open and hilly countryside on the short stretches from the state railway stations to the mines. In the morning we’ll use 126 014 and 120 019 to shunt in and around the mine station at Resavica. We’ll try to go with a coal train a short stretch on the state railway line to experience this fantastic old loco unleashed. We’re lanning to go beyond the first tunnel. Around noon we’ll continue to a mine which has no steam locomotives but a steam engine in use. The shaft lift is still operated by a vintage stationary steam engine, driving wooden cog wheels! In the afternoon we’ll return to Resavica and shunt with 126 014 and probably 120 019. In the evening we’ve planned some night shots. Around 20 hrs we’ll continue to Mokra Gora. We’ll arrive around 23.30 hrs. In the morning we’ll return to the Zenica mine. We hope for a yard interchange service to the state railway station which usually runs in the morning. Afterwards we’ll continue to Banovici. In the afternoon we’ll look after the shunting steam locomotive in Oskava, probably a class 83. Forest hotel near Banovici. In the morning we’ll visit the depot of Banovici. 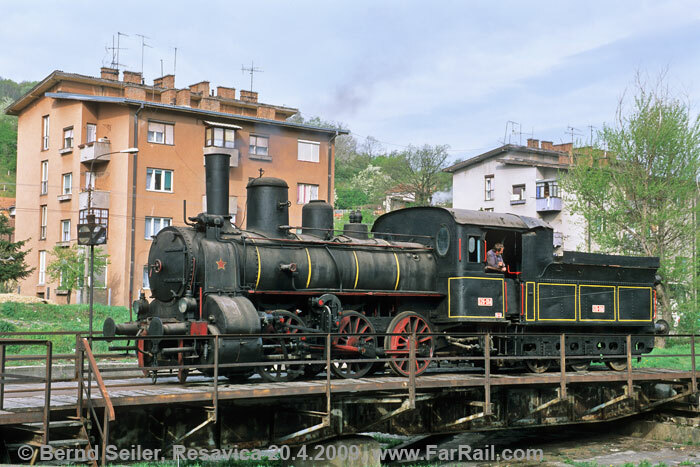 For today we ordered a standard gauge loco to be under steam and shunt in the state railway station of Banovici. It will be either the Skoda-built 0-6-0 19-12 or a class 62. In the narrow gauge part of the station a class 25 or 83 will shunt, and for the afternoon we’ve ordered a charter train on the double tracked narrow gauge line consisting of six coal wagons and one flat wagon. Forest hotel near Banovici. Morning visit to the mine of Durdevik (class 62). We hope to see and be able to photograph a train from Zivinice over the scenic line to the mine. In the afternoon we’ll again go for some pictures of the class 33 and hope to see another train going from the state railway to the mine. In the late afternoon we’ll continue to our hotel in Sabac, which is on the way to Belgrade (Beograd). Resavica hosts the centenarians 126 014 and 120 019. Both locomotives were dead after we used the 126 last time, in 2011. But since then a lot has been done to reactivate them. The 120 has had a boiler repair and an air pump which makes it possible to use it on the line. We’ll try (depends on permit from the state railway) to run a short stretch down the state railway line with a few wagons. In the station we’ll do some shunting in front of the mining buildings and on the turntable of the small depot. In the best case 120 019 will be serviceable as well. Then we can use both locos for shunting in the station. We’ve also planned a night shoot; you should not forget your tripod. 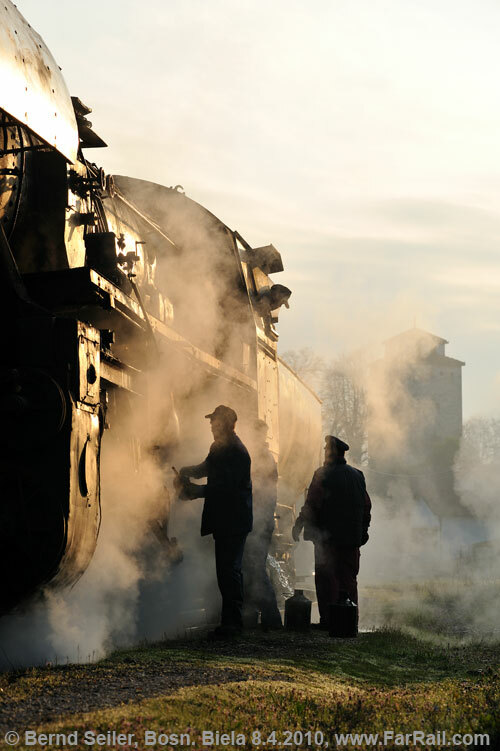 A sight in themselves are the railway men here who look very traditional and create the feel of a bygone era. 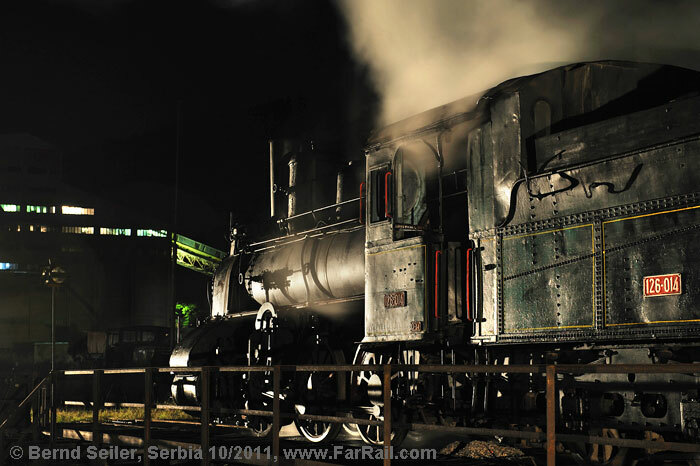 An especially scenic part of the former narrow gauge line from Serbia to Sarajevo was rebuilt during the last decade. The section Visegrad (Višegrad) (cyrillic Вишегрaд)  Mokra Gora  Sargan (Šargan)-Vitasi can be used for charter trains these days. The section to Sargan is known as the Sargan Eight due to its winding line through the mountains. You can see two or even three levels of the line from some points. The line from Mokra Gora to Bosnia-Herzegovina goes through a very scenic narrow gorge. This section of the line is as spectacular as the hairpin bends on the line to Sargan. A loco class 83 is serviceable to haul our train, but there are not many freight wagons left to be used for charter trains. However, we’ll try to offer an authentic train. 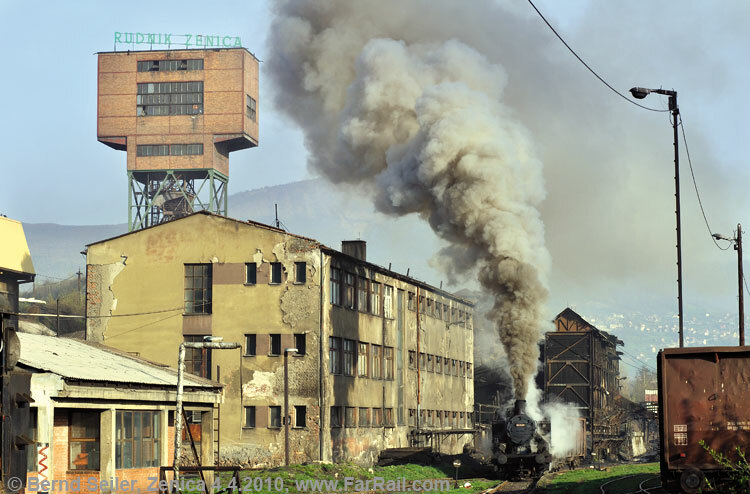 The coal mine at Zenica was another location for the class 62. 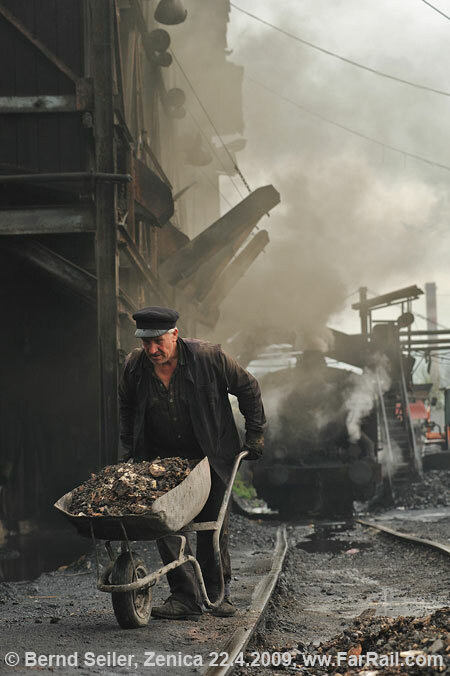 For several years now there have been discussions about closing the coal mine at Zenica. Up until now plans for closure haven’t materialised and we hope to find the mine in full operation. If the mine has no production we’ll charter two freight wagons from the state railway to shunt with. The coal mine, with its wooden loading facility, is very photogenic and a good place for night photography. Therefore we have planned some night shots here. Usually in the morning they run a service to the state railway. Loaded wagons are often pushed to the state railway station while empties are always hauled chimney first towards the mine. Tuzla is host to the administration of the Kreka power plant and their coal mines in the region. The loco depot is in Bukinje. Here we’ll see the last 2-10-0 German ‘Kriegsloks’ class 33 (DR 52) and some class 62 locos (which are not used any more). 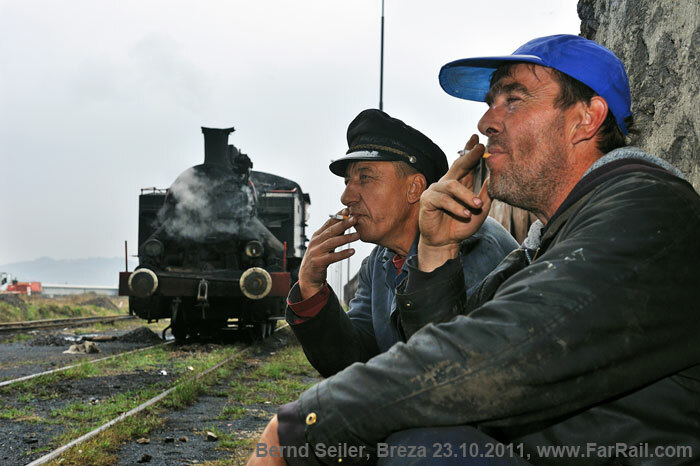 The depot repairs all locos for the coal mines in Dubrave and Sikulje. These mines are close together, and we’ll visit them. Our special interest here is the class 33, of course. In Sikulje the class 33 locomotives serve the line from the mine to the state railway station at Lukavac. This will give us special opportunities for interesting pictures. Of special interest is the departure from Lukavac with its 1930s style signal cabin. The departure order will be given by a flag from an employee at the signal box. 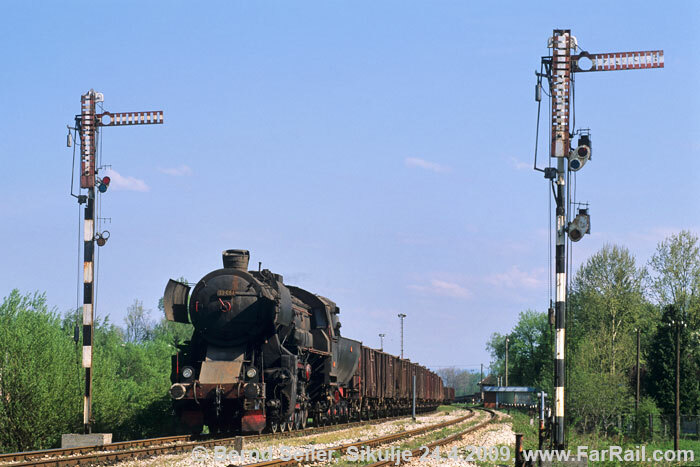 There are also semaphores and semaphore distant signals on the short line to the mine. 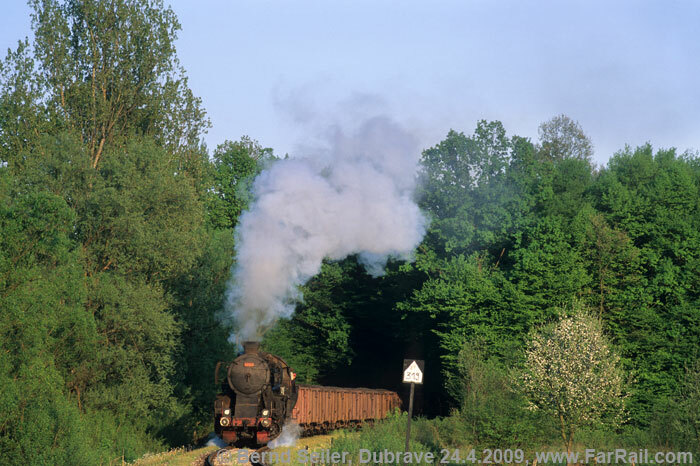 Dubrave and Sikulje normally each use one “Kriegslok” class 33. 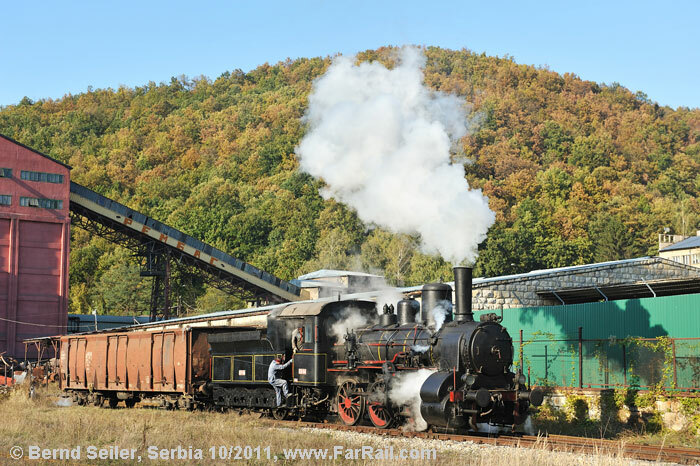 The link from the mine in Dubrave to the state railway station at Ljubace has some good potential, although trains run chimney first downhill and return tender first uphill. But the departure from Dubrave is always a sight and well worth recording on video as well. Both mines, Sikulje and Dubrave, deliver about two trains per day to the state railway. The mine in Bukinje was much smaller and finally closed. There is no fixed timetable and we have to find out on the spot when trains are running. They often change their plans with no notice in advance, so sometimes it will be a gamble. In the depot at Bukinje they carry out heavy overhauls. We do not know their overhaul schedule, but such repairs take a long time, so the chances are not too slim that we’ll see an overhaul there. Because they want to acquire two second hand diesel locomotives it cannot be guaranteed that there will still be a class 33 in regular use. They want to replace the steam locomotives in Dubrave and Sikulje, leaving only one or two spare steam locomotives in Bukinje. However, currently they still have four serviceable locomotives of class 33. So we can arrange something with money if everything else fails. 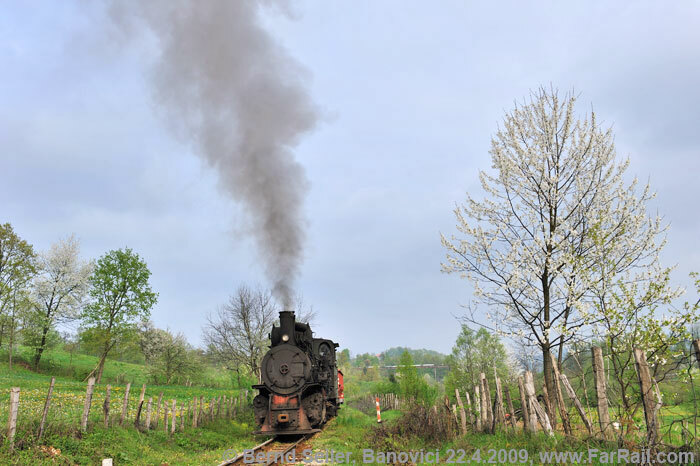 Besides their narrow gauge steam locomotives, the coal mine administration of Banovici used to use standard gauge steam locomotives for their interchange yard with the state railway. Mainly the class 62 was active in the washery, but with a bit of luck we’ll see the Skoda built class 19 (0-6-0T). This operation was dieselised some time ago so we’ll charter one of the remaining serviceable locomotives and use steam in the state railway station. They own a French class 144R (0-8-0T, Fives, Lille) as well, but this loco has been dumped for a long time and is out of use. The daily shunting operation in the narrow gauge part of the station (called Oskova) is usually done by a class 25 (Skoda built 0-6-0) or the last remaining class 83 (Slavonski Brod). The line service on the 760 mm narrow gauge is exclusively diesel with classes 720 (0-4-0) and 740 (4-4). As the line is beautiful and partly double tracked we’ve ordered a charter train with a class 83 (0-8-2) which was in use on this line many years ago. We’ll haul a short freight train consisting of coal wagons and a flat wagon at the end. We’ll be travelling on this flat wagon. Durdevik was closed recently because the mine was said to be exhausted. But in 2013 they reactivated the mine, the line and the loco. The production is ongoing at a very low level, and, only if the trucks can’t manage to carry the output of the mine, they use the railway. Whether or not a train will run during our stay is unpredictable. We’ll try to arrange something if there is no train planned during our stay. The locomotive has not been overhauled, even though it is in urgent need of an overhaul. They’ve just bandaged the leaking parts and repaired the patient in such a way that it can just about make it with the long trains from the railway station to the mines. When a train is running we’ll try to stop it on the way to get more than just one picture. But this is difficult. The loco crew don’t want to stop the train on the gradient. In addition, there are many level crossings on the way, and stopping on the line would require blocking at least one of these level crossings. Rolling back is hence no option either. So it will require quite a bundle of Bosnian Marks to make it possible. Because the condition of the line and the loco are doubtful and the production and hence the railway operation at a very low level, we can’t promise anything regarding Durdevik. Bosnia-Herzegovina and Serbia are secure and hassle free places for organised tours. Of course, the mentality of the locals is different from central and northern Europe especially when some alcohol is in the game. But this will not affect our tour at all, at work (most of) the railway men will strictly stick to their coffee. Taking photographs of railways still causes some sceptical views from railway workers and local people. We have organised (and paid for) a permit for every site we want to go to. To avoid any difficulties we shall not take pictures at places where we have no permission. At most locations (which aren’t on our permission list) it’s possible to obtain a permit from the local staff. Please be patient if this procedure takes a few minutes of our precious time. At some locations the officials do not issue permits to foreigners. Please consider that any unauthorised pictures can cost the whole group a lot of time. It’s much better to follow the restrictions. The factories have agreed to show us their locomotives. Several times we’ve found that as soon as you can show an official permit they’ll open all doors for you and even arrange an extra movement with their locomotives. The standard of the selected middle class hotels cannot be compared with central European standards. After two wars in recent years, the tourist infrastructure has not recovered completely. Investment for tourist purposes in remote and coal mining areas is not on the priority list. Please accept that not everything will be perfect. However, the supply of food is certain, quality and quantity are quite good. Vegetarian food is not common and might be difficult to get. Although for visitors of many countries it’s possible to enter Bosnia-Herzegovina and Serbia with a valid ID card we strongly recommend you take your passport with you. We need passports (and not ID cards) for the permits to visit some mines. In rare cases they even collect passports when we enter the factories. We are travelling in the Autumn. The weather can be anything from snow showers at freezing point to deep blue sky and plus 25 degrees Centigrade. Please carry appropriate clothes with you to be prepared. Our charter bus offers a local standard. Please be prepared that we’ll travel sometimes for more than three hours to get from one steam location to another. The tour is planned with the dedicated photographer and videographer in mind. Therefore we decided to use hotels close by the railways rather than first class resorts far away from any railway. In addition, we will use the daylight hours for photography rather than for substantial meals. It never hurts to carry a few snack foods along, just in case meals are delayed a little. For night photography you’ll need a tripod. Even with Nikon D4s with more than 100,000 ASA, a tripod is recommended. 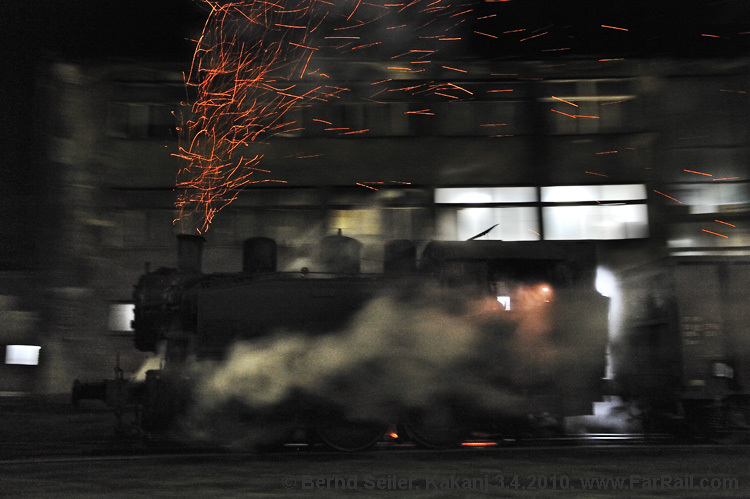 We will also visit regular steam sites while more often we’ll hire a special train or pay for a special duty. At the sites with regular steam it might happen that we have to wait a bit longer to get our pictures. At several locations there are one or two serviceable locomotives only. So it may happen that we won't see the described locomotive or train. In this case we will try to find an adequate alternative site with interesting operations. However, we are at the edge of a steam free age, and no one can guarantee that we’ll see what we have planned and paid for. Be assured we will do everything possible to make things work. We cannot offer refunds if things go wrong. For our tour there is no insurance available against a steam loco failure.